It is impossible for me not to love a heroine who can look the guy she fancies in the eye and tell him she’ll rescue herself. Rory is pretty special. Adult urban fantasy has had a few heroines who rescue themselves, but there is something special about this teenage warrior who doesn’t feel the need to prove herself to anyone. Rory is her team’s most skilled warrior and she expects to be respected for her abilities. Rory’s clever, she’s brave, and the feminist in me wants a set of these books in every school library. I’m revealing my age when I compare Rory to Buffy, but this second book gave me a few flashbacks. Apart from the Mythology twist, the framework for these stories is quite similar. And I swear I saw the episode where the characters follow underground chambers up to a graveyard… I have to say that I’m actually finding Rory a more interesting character than Buffy and her innate confidence is a better fit for the post #metoo generation. The writing is stronger in this second book than it was in the first. As the characters develop and the world building gets more complicated, this series is turning into something memorable. I’m really enjoying the mythology aspect of the book and the references to so many ancient cultures and theologies. The concept retains the action and power dynamics I love in Urban Fantasy while providing a welcome break from vampires and werewolves. The plot feels tighter in this second book and I like the way the wider story is starting to unravel. I’m very excited for the next book in the series! Spartan Promise is the second installment in the Mythos Academy: Colorado series, a sister series to Mythos Academy. First, I suggest reading the main series first. Second, I strongly suggest reading this series in order, as everything ties together in a continuous plot. 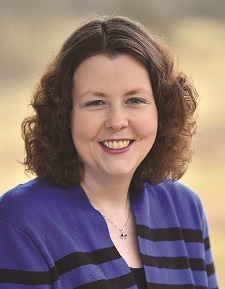 After slightly struggling with Spartan Heart – simply because it was no longer a good fit for me like it was nearly a decade ago, reading-wise – I was apprehensive to begin Spartan Promise. I told myself I'd read a little bit and put it down if the book wasn't doing anything for me, reading a little at a time. I sat down with my Kindle and didn't come up for air until I was finished. Beyond fast-paced, the pages flew by as I immersed myself in the young adult fantasy world Estep has created. Rory is a member of the Migard team, an offshoot of the Protectorate, battling the insurgence of Reapers in Mythos Academy, stealing artifacts to advance their cause. Set in the backdrop of a school academy catering to those blessed by the gods, be it Spartans, Valkyries, or Vikings, Rory battles beasties, delves through the angst of unrequited crushes, connects deeper with true friends, and wages war against the very man who murdered her parents. A true page-turner, the novel was exciting, highly descriptive, with deeper world-building than its predecessor. 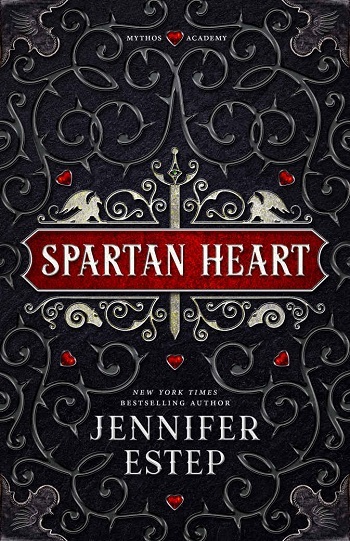 Definitely recommend to fans of Jennifer Estep, readers of Young Adult Fantasy, and those young at heart who want a little dose of first crushes while saving the world from impending doom and gloom. Young Adult age-range: 13+. Be warned of fantasy violence. 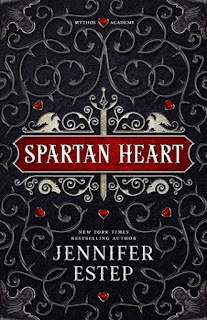 For reviews & more info, check out our Spartan Heart post. 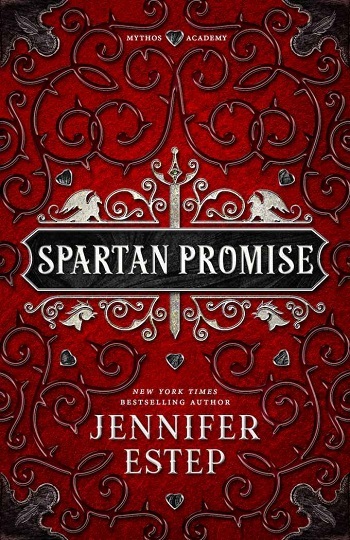 Sarah and Erica reviewed their personal copy of Spartan Promise (Mythos Academy: Colorado #2) by Jennifer Estep for this post.